The December Asset Drop box has now reached our brilliant subscribers, and so it’s time to reveal to everyone what they are enjoying this month! The aim of Asset Drop Discovery is, no surprise, to 'discover' new brands and types of miniature paint. Different paints allow you to master different techniques, and some paints are just plain better than others in terms of certain colours (yellow, white) or types (metals, washes). It's definitely worth experimenting if you want to grow your style as a painter. December's drop featured 4 completely new brands compared to the previous two boxes, as well as our own Asset Dropper Bottles! If you like the look of December's box, you can always buy it on our store. December was also excellent value for money, containing over £26 worth of high quality miniature paints, all for just £19.90! That's a saving of 24% on RRP. You can also check out the contents of October's Box here and November's Box here. WarColours are an amazing new range of miniature paints that have undergone massive expansion in the last year. 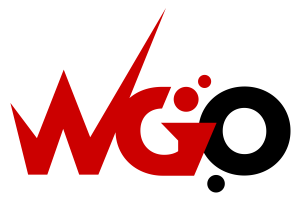 They are designed by a miniature painter (Neo) for miniature painters, and have been created in such a way that you can achieve some very complex techniques with them. They work differently to regular acrylic paints. Due to their gel base, they have an extended drying time, which means you can more easily tackle techniques like wet blending. They also have different levels of transparency. This makes them perfect for glazing and layering, and means you can build up a very rich depth of colour (if you have the patience), because each new layer is visible beneath the last, adding lots of saturation to the paint. You can layer WarColours really well without them going 'chalky' or giving that 'thick paint' look. The Marine layer paints come in a set of 5 different tones, all with varying opacities. We chose Marine 4, Marine 3 and Marine 1 because you can use them to mix a really complimentary range of marine colours. These paints were included in December's drop because they’re taking America by storm! They’ve been getting rave reviews stateside, and have now made it over into UK stores too. Mission Models have become so popular because they’re actually premium grade artist paints, with high levels of pigmentation and a quality resin base. The pigments are also extremely fine, so the paints are great for precision work (like basically all miniature painting!) as they cover well without hiding any detail. Although they have a picture of an airbrush on the front, they're also ideal for brush painting. I've found you don't need to thin them when brush painting if you don't want, whereas you do actually need Mission Models own thinner before using them in your airbrush. Both Mission Models paints have very rich and smooth colours, going on the model like a dream. But the metallics are particularly fantastic. They are less glittery than other metallics, with very fine pigmentation, so they create a realistic looking metal. The Cold Rolled Steel is especially nice because it has the look of a matt metal, making it ideal for vehicles and armour. In this month's guide, we used it as the base for our Anvil Industry buggy, so it showed through the chipping effect, but it's application possibilities are endless. AK Interactive are the brand for weathering, sporting a massive range of products for all the weathering and basing effects you can dream of. 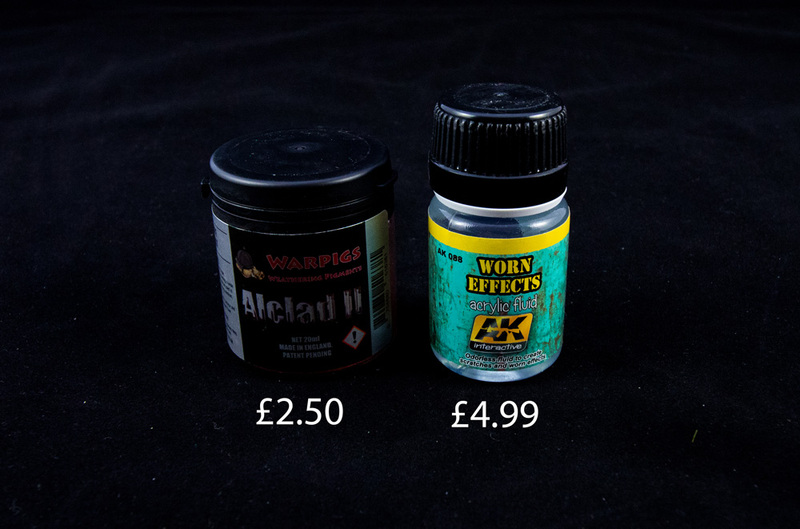 The Worn Effects fluid can be used on any miniature that you want to create a worn look on- it could be chipping on a vehicle, scratches on armour, or even worn patches on a cloak. Basically, it allows you to wear away the top layer of paint on a miniature to create any look that you want. It's a faster way of creating a weathered look than hand painting scratches and damage. It's also pretty fun to try out! In December's drop, we also included a handy cocktail stick because they are the ideal tool for creating chips without scratching too hard. If you do try out the Worn Effects fluid by purchasing it from our store, I definitely recommend getting hold of a wooden cocktail stick to try it out with. Alclad are a UK based company famous for their amazing metal lacquers. But they also have a great range of pigments that can be used to weather metals. Made from very finely ground pigment, and rich in colour, Warpigs are a lovely line of powders. Deep Rust is a good colour for applying to the edges of your scratches and chips (made with the Worn Effects Fluid) to create a naturally rusted look. Ideally, when creating rust effects, you would use some darker and lighter tones of rust too. Subscribers who received October and November's drop could mix the Alclad Deep Rust with the pigments included in those to get different tones. If you're serious out creating rust effects though, I'd recommend buying the trio of rust tones. 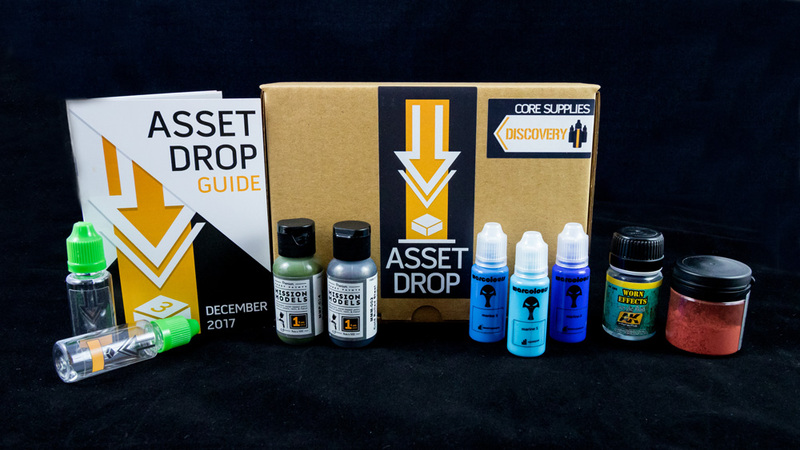 Finally, inside December's box, subscribers also received two bonus Asset Dropper bottles! Our 20ml bottles are made from high quality, recyclable PET plastic. They come with a thin needle tip perfect for controlled applications, a stainless steel agitator ball, and a custom green child safe cap! We included one bottle empty to allow subscribers to create their own paint. For example, thinning down the Mission Models NATO Green to create a wash produces the perfect skin colour for poxwalkers. Finally, our bottles also come with a waterproof label which you can write on using permanent marker to remind you what's inside.